Once a dreaded tool for punishment, now a timeless accessory. The belt is a versatile item, but never more than when helping you work what your mama gave you. Need to look thinner, taller, curvier? The right belt can do it for you, not to mention spice up any outfit. Tunics, dresses, cardigans, anything can look cooler and more put-together with the appropriate cinturon around your waist. What you need to take into account when choosing a belt is your body type. Hourglass-shaped chicas (i.e. most of us Latinas) benefit from medium-width belts at the thinnest part of the waist. They accentuate round hips and small waists for va-va-voom curves. 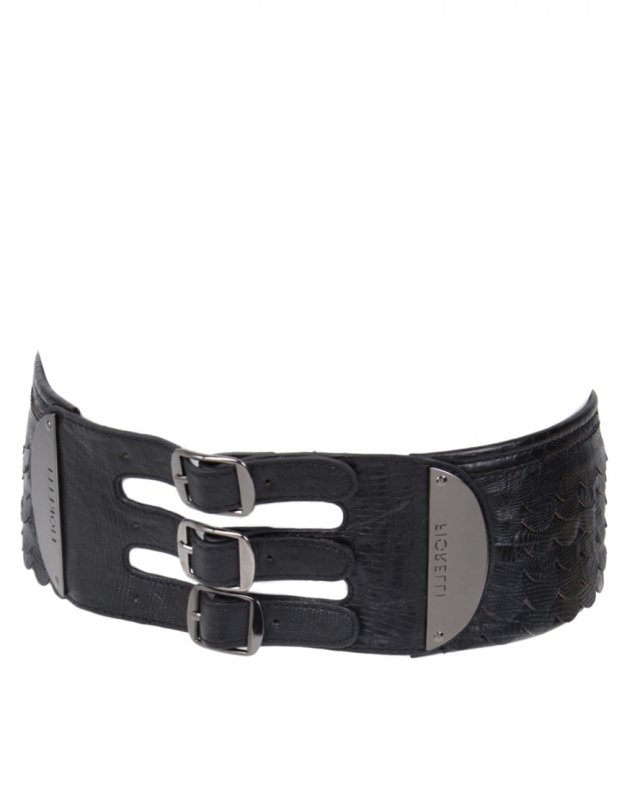 Be wary of wider belts as they can make you look bulky rather than sleek. Girls with petite frames should opt for skinny belts, especially when worn with loose-fitting clothes, they add dimension to smaller figures and make you appear taller. Corset and wide belts also create the illusion of longer legs when worn beneath the bust, as they emphasize your bosom and upper body. Tall and slim women can wear statement belts around the hips (chicas with short legs or wide hips, skip this one) to add a hint curves to a narrow frame. So if want to add instant flair to your outfit and show off your best attributes in one fell swoop, be sure to buckle up ladies!